The Peoples Democratic Party (PDP) under the leadership of Alhaji Abubakar Kawu Baraje has learnt with shock of yesterday's judgment by the Federal High Court Abuja presided over by Justice Abdul Kafarati in the suit filed by the Ogun State chapter of PDP against PDP's National Secretary, His Excellency, Prince Olagunsoye Oyinlola, former Governor of Osun State. In his judgment, Justice Abdul Kafarati ordered the PDP faction led by Alhaji Bamanga Tukur to swear in a new National Secretary for PDP and went ahead to order the Independent National Electoral Commission (INEC) to delete Prince Oyinlola's name from its records as PDP's National Secretary. The Alhaji Abubakar Kawu Baraje-led PDP wishes to condemn this obvious and glaring miscarriage of justice as the judgment was given in spite of the pendency of Prince Oyinlola's suit over the subject matter at a superior court of competent jurisdiction - the Federal Court of Appeal Abuja. We wish to inform Nigerians that Prince Oyinlola was never served any court processes before the judgment was delivered. 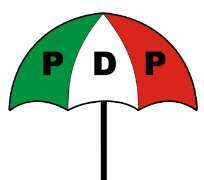 The judgment, unfortunately, dishonours the Court of Appeal and His Lordship's pronouncement on the subject matter negates procedures outlined in the Constitution of the PDP for the emergence of the party's National Secretary. We see the Judiciary as the last hope of the common man and a defender of the weak against the strong. We therefore wish to appeal to the Judiciary not to indulge itself in anything that may tend to give the contrary impression. We meanwhile appeal to our supporters and to all PDP members to remain calm as arrangements are being made to appeal this judgment and ensure that justice is done in this matter.